After dreaming that he made a promise to the Legendary Pokémon Solgaleo and Lunala, Ash has a hard time waking up. On his way to school, he’s sidetracked by Tapu Koko, who guides him to a strange little Pokémon that looks like a cloud of stars. Lillie nicknames it Nebby, and Ash remembers his dream: he promised to take care of it! 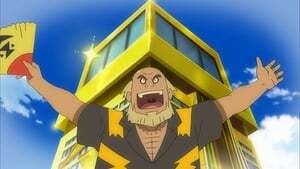 This attracts the attention of Lillie’s mother, Lusamine, the head of the Aether Foundation. She and her colleagues come to meet Nebby and offer to take care of (and research) this unknown Pokémon. But Ash is resolute in his promise, so Nebby’s identity is a mystery for now! The Pokémon School class is sculpting with clay today! But while our heroes muse about various Pokémon and places, they disappear one by one—first appearing at the scenes of their musings, then reappearing back at school! They soon realize Nebby had used Teleport to take them to the places and Pokémon they were thinking about. Meanwhile, Team Rocket is determined to catch Nebby. They succeed, but thanks to Teleport, Bewear carries the trio off...and Nebby makes its way back to Ash—all by itself! After Ash and Pikachu visit the places the rest of the class saw earlier, one thing becomes obvious: Nebby is growing up! Our heroes are having a sleepover at Professor Kukui’s house, and Professor Burnet agrees to join them! 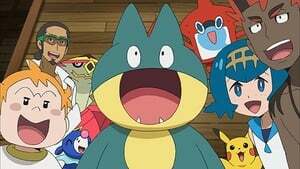 Everyone has a good time, but there are a couple of hiccups: during a game of Z-Move poses, Kiawe accidentally unleashes Turtonator’s Inferno Overdrive in the living room, and then Professor Burnet’s Munchlax eats everything she cooked for dinner! That night, when Lillie has trouble sleeping, she talks with Professor Burnet, who offers some advice about her family. The next day, Nebby unexpectedly whisks her away to visit her brother—and his partner, the mysterious Silvally, who leaves her terrified and apparently unable to touch Pokémon again! Lillie can touch Pokémon again! 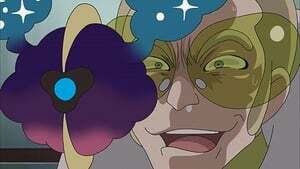 While our heroes celebrate, a disgraced Faba is determined to prove himself to Lusamine by summoning an Ultra Beast—the same one that threatened Lillie years before. He kidnaps Nebby and convinces it to teleport him into his research lab at Aether Paradise. Ash, Gladion, Lillie, and Lusamine go after Faba, arriving just as a panicked Nebby transforms into a chrysalis and the Ultra Wormhole begins to open! The Ultra Beast known as UB-01 Symbiont emerges and attacks Lillie—but Lusamine throws herself in front of her daughter, and the Ultra Beast engulfs her instead and takes her back through the wormhole! 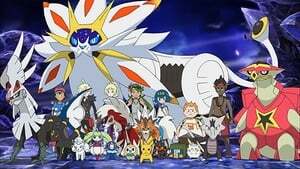 Our heroes are all gathered at the Altar of the Sunne, along with all four of Alola’s Island Guardians. 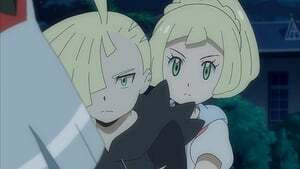 Lillie and Gladion ask the Island Guardians for help to rescue their mother, Lusamine, who has been taken through an Ultra Wormhole by a mysterious Ultra Beast. 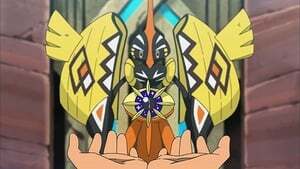 After Tapu Koko and the others perform a ritual, little Nebby evolves into the mighty Solgaleo—one of the Legendary Pokémon of Alola! At Solgaleo’s invitation, the Pokémon School students climb onto its back. With the help of a new Z-Move, Solgaleo opens an Ultra Wormhole and carries them through, off to rescue Lusamine from the Ultra Beast! Our heroes are battling hard against a group of mind-controlled Pokémon, and Lusamine is still resisting rescue. When Gladion realizes their attacks won’t stop until the Ultra Beast is defeated, Ash suggests the two of them use Z-Moves. Instead, Gladion and his Pokémon provide a distraction while Ash and Pikachu use a powerful new Z-Move: 10,000,000 Volt Thunderbolt! This finally defeats the Ultra Beast, and after Lillie pleads with her mother to wake up, Lusamine is finally herself again. Returning through the Ultra Wormhole, our heroes and Lusamine are reunited with Professor Kukui and Professor Burnet, and Lusamine gratefully gives credit to our heroes for saving her. 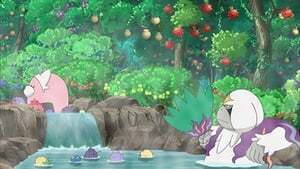 Following their journey through the Ultra Wormhole, our heroes return to the Pokémon School, where Lillie thanks everyone for their help saving her mother. 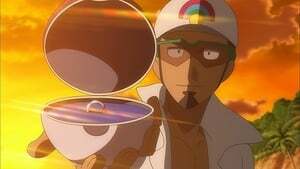 Later, during a walk on the beach, Professor Kukui asks Professor Burnet to marry him! They aren’t planning a wedding ceremony, but our heroes have other ideas...a surprise ceremony awaits! Then, Lusamine asks the Pokémon School class to join the Ultra Guardians—a group that protects Alola from Ultra Beasts. And just after the bouquet toss, Solgaleo appears! Ash gets his wish and thanks the Legendary Pokémon for all its help, and he looks forward to seeing it again someday. Our heroes are curious about the origins (and sleep habits) of Principal Samson Oak’s partner Komala. After telling the students how they met, Samson shows off Komala’s impressive skill at battling in its sleep! They get another lesson in sleep when Jigglypuff shows up at the Pokémon School! As always, its song makes everyone sleep, and they wake with angry scribbles on their faces…everyone except Komala. That gives Samson an idea… When Jigglypuff returns, Komala joins it in song. This makes Jigglypuff fall asleep, and Komala doodles on its face! Rather than being grumpy when it wakes up, Jigglypuff seems to think this is hilarious. Komala has a new friend! Rotom Dex is excited to house-sit while Ash and the professors go shopping. But chaos ensues when a washing machine is mistakenly delivered—and there’s a Wash Rotom inside! 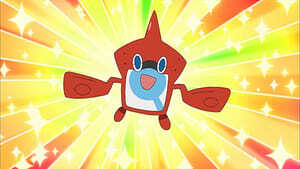 Somehow, the Wash Rotom ends up inside Ash’s Pokédex, and Rotom Dex takes its place in the washing machine. After a series of accidental form changes, and even some time spent inside a TV, Rotom Dex yearns to be back inside the comfort of the Pokédex. It finally succeeds, but not for long—after a big shock from Pikachu, Rotom Dex accidentally inhabits the entire Pokémon Center! Episode 15 - Fighting Back The Tears! After a day of shopping, Team Rocket encounters Mareanie’s first love and mentor, a Mareanie that still has feelings for its former protégé. 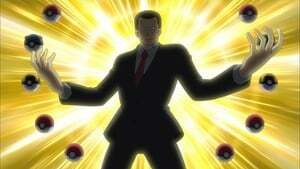 Filled with jealousy, it evolves into a Toxapex and poisons James! In his poisoned stupor, James decides Mareanie should be with Toxapex instead of with him. 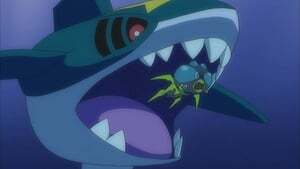 When Mareanie overhears this, its sadness causes it to run away. 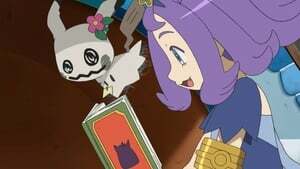 But Toxapex can’t bear to see Mareanie cry, and it challenges James to a duel to win Mareanie back. 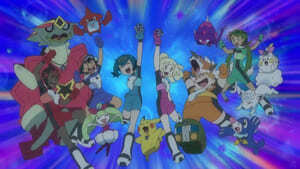 After what turns out to be an underwhelming battle, James is victorious, and Mareanie joyously reunites with him and the rest of Team Rocket! The Pokémon School students, Professor Kukui, and Kahuna Hala are visiting Mount Lanakila on Ula’ula Island, where they meet Cerah, a star of the Pokémon Sled Jump event. With the help of her Alolan Ninetales, Cerah introduces our heroes to the sport, and Lillie and Snowy are excited to try it together—even regaining their confidence after crashing during a practice run. The two of them fly high in the competition, and Snowy shows off a new move: Aurora Veil! Although Kahuna Hala and his newly evolved Crabominable are the winners, everyone agrees that Lillie’s jump was excellent, and she’s excited to keep working with Snowy as a team! 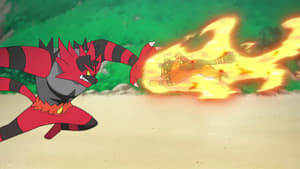 The mysterious Masked Royal and his partner Incineroar star in the Battle Royal, an Alolan tradition in which four Pokémon battle until the last one standing is the winner. Ash, watching on TV, can’t wait to get in on the action—and the next day, he gets his chance! 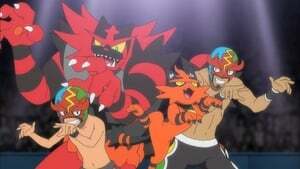 At the Battle Royal Dome, Ash’s Litten charges right into the ring, determined to take on the impressive Incineroar. The Masked Royal accepts Litten’s challenge and invites Sophocles and Kiawe to round out the four. He defeats them all, but Litten is fired up—and during an unexpected rematch the next day, it evolves into Torracat! 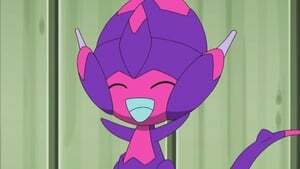 Episode 21 - Satoshi and Nagetukesaru! Touchdown of Friendship!! There’s plenty of excitement at the Pokémon School when Ilima, one of its most skilled graduates, returns for a visit. 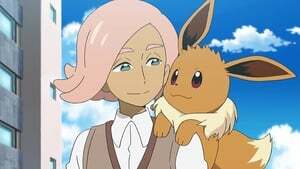 The students have heard plenty of stories of Ilima’s adventures with Eevee, and after sharing those stories with Ash and Lillie, they want to learn if the legends are true. 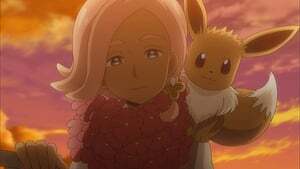 Despite that popularity, though, Ilima’s reappearance has attracted the unwanted attention of Team Skull’s Tupp and his crew of Grunts. Episode 23 - Smashing with Sketch! 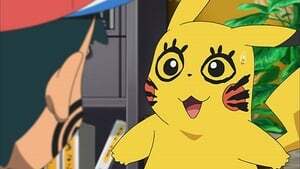 One day during class, Poipole appears at the school and lures Pikachu away while Ash and the others are busy. When they finally notice that Pikachu is missing, an agitated Ash and his Pokémon start searching for Pikachu. Rowlet spots Pikachu and Poipole playing, but, thinking that Pikachu is being attacked, charges in. Frightened, Poipole disables Rowlet with a Poison attack. When Pikachu gets angry at its friend being hurt, Poipole is sorry and carries Rowlet to get help, with Pikachu leading. 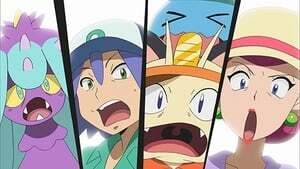 Team Rocket spots the trio and, realizing that Poipole may be an Ultra Beast, chases after them. Just as Team Rocket is about to capture them, Ash, Lycanroc and Torracat appear and the battle is on, only to be interrupted by Bewear once again carrying Team Rocket off. Back at the Ultra Guardians base, Poipole is identified as an Ultra-Beast and Ash agrees to look after it. After playfully dodging every attempt to capture it, Poipole finally enters the Beast Ball on its own and happily settles in with Ash and his Pokémon ... especially Pikachu! 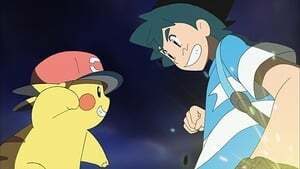 Ash is on his way to the Pokémon Center with Pikachu, Rotom and Poipole for the school's work experience program when he is stopped by the Team Skull grunts, who challenge him to a battle. The 3-on-1 battle backfires when something goes wrong with Zipp's Garbodor's Venom Shock and Team Skull is forced to retreat. 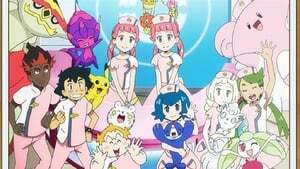 At the Center, the Nurse Joy that works there has a bad cold, so Ash and the others decide to do her duties for her. With some minor hiccups (such as a mix-up about Pokémon Center uniforms and an unexpected delivery to Team Rocket's food truck), things go well, but Zipp keeps showing up, apparently seeking treatment for his Garbodor, who is suffering from Poison Clog. The gang aren't sure how to help Garbodor, but Nurse Joy appears and takes change of treating Garbodor with their help. By evening, Garbodor has been cured, but the Nurse Joy who treated Garbodor turns out to be a sister of the now-recovered Nurse Joy. Episode 26 - Rise and Shine, Starship! Sophocles is out camping with his parents and Pokémon at Bamboo Hill when he finds a strange metallic object buried in the ground. Remembering a folktale, he believes it to be the legendary spaceship Celestial Starship. The next day, after he tells his classmates about it, they go there and see it for themselves. After an unsuccessful attempt to dig it up, they return to school, where they are contacted by Lusamine about an Ultra Beast having been detected. 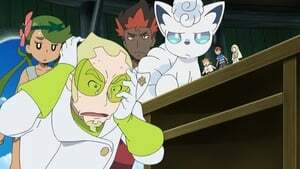 Sophocles is surprised to discover that the Pokémon he discovered is a Celesteela, and they determine to return it home. Attempts to catch it in a Beast Ball prove unsuccessful as it is firmly rooted down. 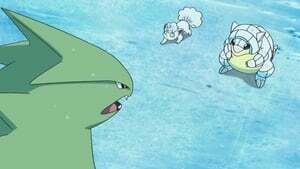 Team Rocket attempts to catch Celesteela as the Ultra Guardians try to protect it, and Team Rocket is almost incinerated as Celesteela begins to launch itself. After the Ultra Guardians create a safe launch area, they watch Celesteela fly home. 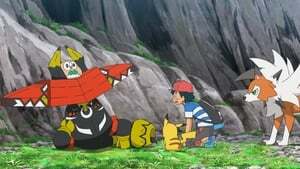 Kiawe and his family are doing their daily chores when a limousine comes roaring up and a large crude-talking man named Viren emerges with his Electivire, announcing that he wants to buy the farm and turn it into a resort! Naturally his offer is refused and he leaves, promising that they'll change their minds. Later, the family find that Viren's corporation has bought the nearby land and dammed up the stream that provides water to the farm! 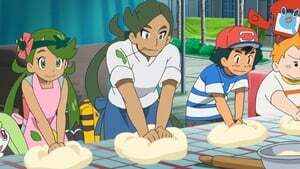 When Ash and the others find out, they immediately want to help and leave for Akala Island. At the farm, they find that the farm's fences have been deliberately broken and the farm's Miltank are loose. 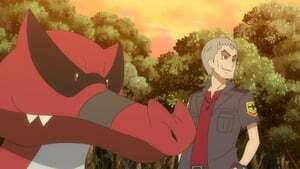 Kiawe accuses Viren of sabotage and challenges him to a battle with Kiawe's Marowak against Viren's Electivire. 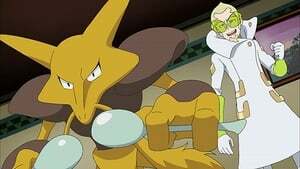 However, after Turtonator is injured protecting Mimo and Kiawe's Z-Move with Marowak fails, Electivire defeats Marowak. 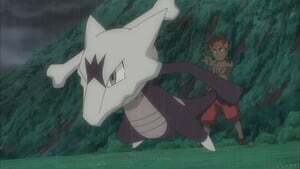 That night, Kiawe confesses to Marowak that the Z-Move failed because Kiawe didn't believe in Marowak, and he promises to trust Marowak. 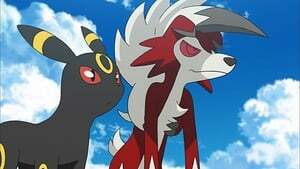 The next day, Viren returns and Kiawe challenges him again, with the farm on the line. This time, the Z-Move Inferno Overdrive succeeds and Marowak defeats Electivire. 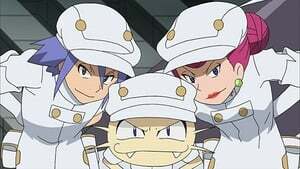 Viren is about to have his bulldozers destroy the farm when Officer Jenny of Akala Island arrives and arrests Viren for fraud, trespassing and malicious destruction of property. On Melemele Island, a wild Dewpider leaves its nest in search of its own pond to call home. Along the way, it gets caught up in confrontations with various Pokémon who don’t take kindly to intruders. Dewpider wears a water bubble on its head that lets it breathe on land, so when it sees Lana wearing one of Popplio’s balloons on her head, it thinks she’s a Dewpider, too! The Pokémon School class observes and encourages Dewpider as it searches for a new home, battling opponents in the process. When it finally succeeds, it happily begins building its nest, inspired by its new friend Lana. Episode 30 - Why Not Give Me a Z-Ring Sometime? Ash has been training hard, preparing for his rematch against Nanu on Ula’ula Island. But when he tells the kahuna he’s ready, Nanu has another idea. Team Rocket has just come looking for the Twerp so Mimikyu can try out its new Z-Move against Pikachu, so Nanu sends him out to battle them instead! Mimikyu proves to be a powerful opponent, but Pikachu overwhelms the opposition with a new move, Electroweb, and the Z-Move 10,000,000 Volt Thunderbolt. Ash wins, setting the stage for his Ula’ula Island grand trial! With his pre-trial successfully behind him, Ash is finally ready to take the Ula’ula Island grand trial against Kahuna Nanu. Our hero is taken aback when Nanu reveals the terms of the challenge, though—Ash must defeat three of Nanu’s Pokémon with only one of his own! 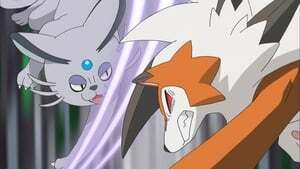 Ash decides that Lycanroc is up to the task, but the temperamental Pokémon might have trouble keeping its anger under control...especially when Nanu unleashes a barrage of taunts questioning Ash and Lycanroc’s teamwork. Episode 35 - Twirling With a Bang! Ash is back on Melemele Island, watching a fireworks display with his Pokémon School classmates. Toward the end of the show, a strange creature starts creating even more fireworks ... by making its own head explode! The next day, Lusamine summons the Ultra Guardians to deal with this Ultra Beast! When our heroes go after it, they discover a second Ultra Beast, and the two creatures face off, flinging fireworks and sparks around so no one can get close. At Ash’s suggestion, the Ultra Guardians stage their own fireworks show, combining their Pokémon’s moves into a gorgeous display that distracts the Ultra Beasts long enough to catch them! Episode 39 - All They Want to Do Is Dance, Dance! 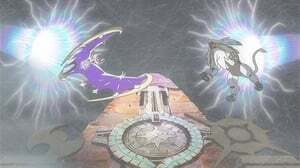 Episode 46 - The Prism Between Light and Darkness! 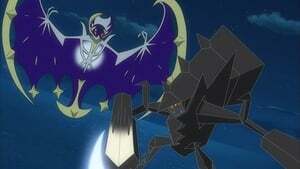 After the mysterious creature known as UB Black absorbs Solgaleo and retreats into an Ultra Wormhole. Ash and his friends give chase and find themselves in Poipole’s original home. There, they meet a giant Pokémon named Naganadel, who tells our heroes of the threat to its world—and how UB Black may be the only hope of saving it! 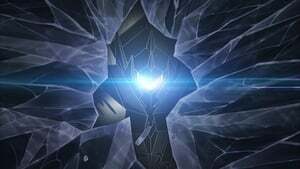 The Ultra Guardians, along with Faba and Professor Kukui, are attempting to return The Blinding One to its original form! 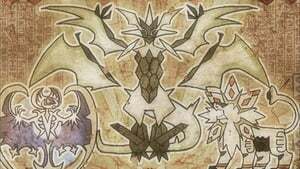 As Necrozma in its “UB Black” form, it’s holding Solgaleo captive and threatening Poipole’s home world. Our heroes have been attempting to “feed” Necrozma with Z-Power to restore its light, but it’s not enough. That’s when the people of Alola band together to send their own power to Necrozma—and it works! 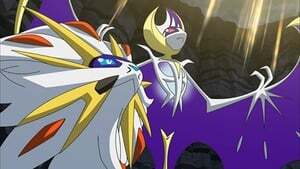 The Blinding One is restored, and Solgaleo is released. Poipole’s world is renewed, too, and Poipole decides to stay behind to protect it. As a goodbye present, it draws a loving portrait of Ash and Pikachu! Ash, Kiawe, and Mimo discover an amazing place called Pikachu Valley, home to the biggest group of Pikachu they’ve ever seen! Their Trainer is a major pika-fan named Pikala, who gives everyone a set of Pikachu ears and a tail, and insists that they all talk in Pikaspeak by adding “pika” to every sentence. 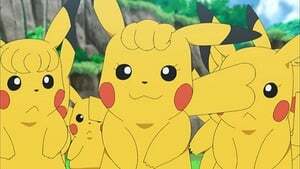 At first, Ash’s Pikachu seems to be a big hit with the ladies—but Pikala clarifies that they’re just offering their usual pika-greetings. 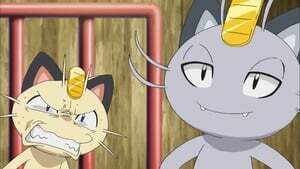 Annoyed by this behavior, the boss Pikachu challenges our buddy to a battle, but Ash’s Pikachu wins—and then thwarts an attempt by Team Rocket to grab the whole group!